a drink by the pool bar or dine in the à la carte restaurant -balcony across the pool. The inner room of our hotel can accommodate your personal and corporate events in which your guests you can be up to 700 people. 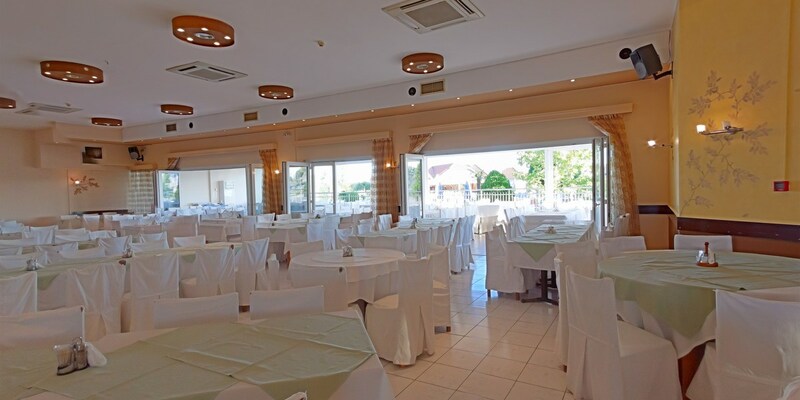 Our experienced and qualified staff, and the maître of the banquet hall guarantee the success of your reception. decoration, settling for the decoration of the room. We customize your event according to your requirements. The Grand Platon has a unique outdoor reception area, on the blooming garden reminiscent of an estate, a wedding like you dreamed ... and the little church. It can accommodate events with up to 600 people. Some moments are special, we make them unique! 250 meters from the main building of the Grand Platon, the beach – bar lies hanging on the beach, combining minimal luxury with casual summer. It managed in the last years to become a must destination. Its name is a reminiscent of a summer where you can enjoy incredible breakfasts but also sunrises. The Grand Platon Hotel is an excellent 4 star hotel in the region of Pieria, at the foot of the legendary mountain of the 12 Gods Olympus. 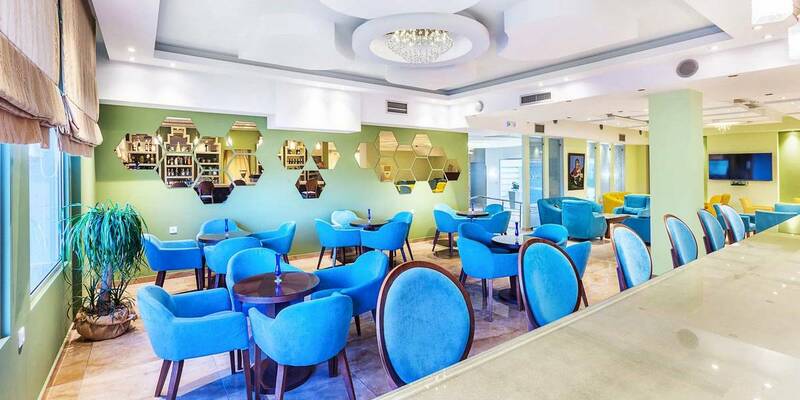 Situated on the cosmopolitan beach of Katerini, it is only 45 minutes away from the Airport of Thessaloniki (SKG) and just 5 minutes away from the National Highway and Railway. A hotel of outstanding aesthetics with great architecture and style. On peaceful green surroundings of 12 acres, is Grand Platon the ideal destination for those who seek the Mediterranean elegance combined with the ultimate in Greek cuisine. We invite you to experience the coasts of Olympus through a magical environment. The Grand Platon Hotel features 77 standard and superior rooms, 4 family rooms, 2 executive’s suites and 3 junior suites. The hotel is built between gardens and has three blocks all around the central pool. It is just 250 meters from the sea. An ideal place for a holiday by the sea. Enjoy the sun and the sea, swim in the cool waters of the pool or enjoy a drink by the pool bar or dine in the à la carte restaurant -balcony across the pool. 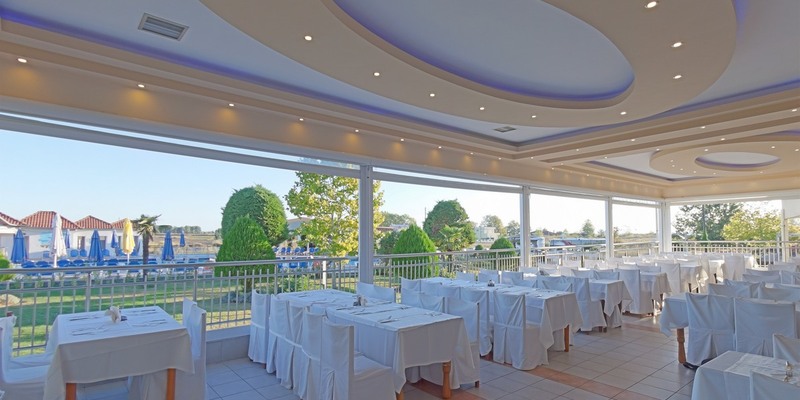 For even more relaxation you can enjoy a drink at our Refreshment Bar on the beach or try the traditional Greek food (seafood and mixed grill) in our Tavern, on the seafront overlooking the Thermaikos Gulf. Make the Grand Platon Hotel your holiday destination! Unique view, impeccable service and tasteful dishes that you will certainly remember.